Installing a spiral staircase is often part of a wider improvement project. In this guest post Tom Merryfield, from leading independent furniture e-tailer Unni & Evans, shares the three most popular home interior design trends from the year so far, with a particular focus on the furniture styles that are being most commonly adopted in new or refurbished houses. It’s an extremely exciting and vibrant period for interior design. There’s never been more choice when it comes to styles and it seems as though interior designers and their clients have never been more willing to ‘rip up the rule book’ and try something new, different or slightly unorthodox. We have the pleasure of working with a number of designers and homeowners and it’s always fascinating to see how various styles are utilised within new build, renovation or refurbishment projects. There are certainly some distinct trends from the year to date, and the following is what we’d consider to be the leading three. Reclaimed has a tremendous number of merits. One of the most obvious appeals is that it’s eco-friendly, but it also offers a great deal more, which perhaps explains why it’s going from strength to strength in terms of popularity. Quite simply, it looks great. It oozes character and charm in a way that few other styles can match. Furthermore, it’s extremely versatile and can be deployed for a variety of uses – not only furniture, but also for flooring, kitchens and doors, to name but a few. 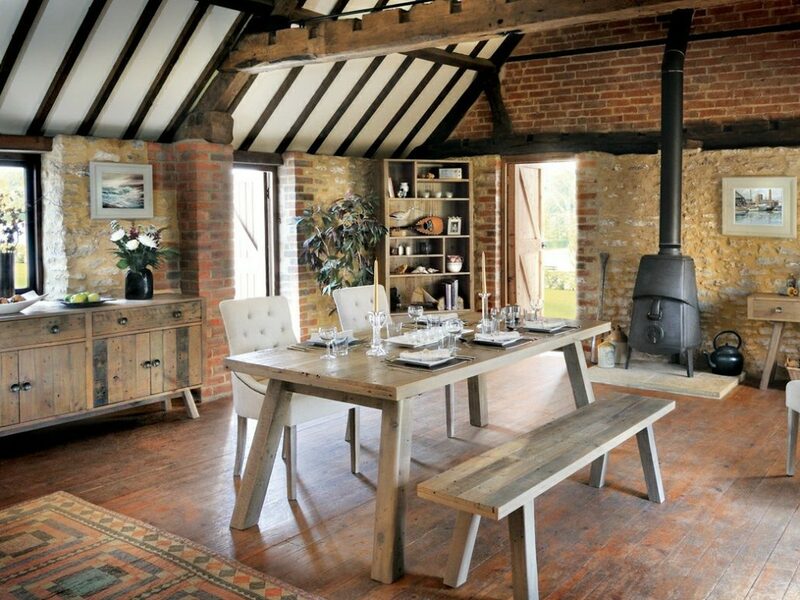 Finally, it’s also extremely robust – after all, it’s already had a previous life on an old building or boat and so the wood is more than ready to continue to stand the test of time within a domestic home. 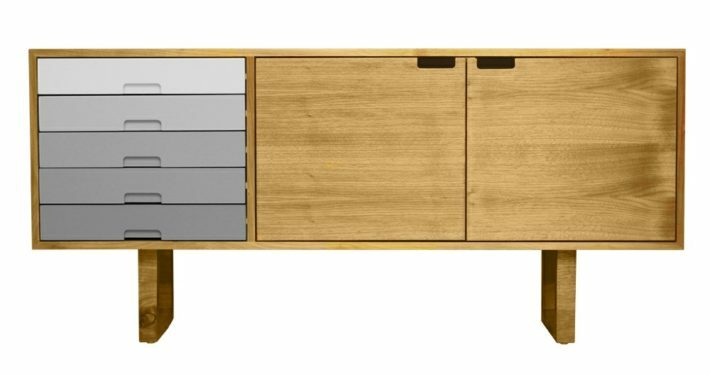 Reclaimed has certainly been the stand-out so far this year, but Scandinavian-influenced interiors and furniture is not far behind. Scandi brings a very relaxed and calm feel to a room and this probably explains its enduring appeal. Homeowners don’t necessarily need to devote the whole room to a Scandi style, and perhaps this is part of the attraction. For example, many homes will opt for Scandi furniture and then ‘hints’ of Scandi in the surrounding décor and other furnishings. Somewhat of a ‘Scandi lite’, you might say. 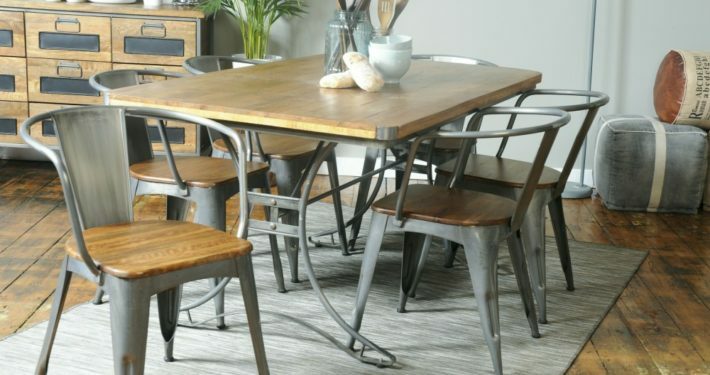 The third most popular trend that we’ve seen this year is for industrial, albeit a moderated version of what one would traditionally associate with this style. Industrial has of course been around for many years and you’d typically picture in your mind this style being deployed in a converted warehouse in the East End of London, complete with exposed brick walls. Whilst this is sometimes still the case, a softened version is also being used in more moderate surrounds, to really great effect. It’s very much a similar situation to Scandi in that it’s becoming more common and acceptable to ‘dip in’ to industrial for some elements that you like, such as the furniture, without the need to ‘fully commit’ to the style in its entirety. 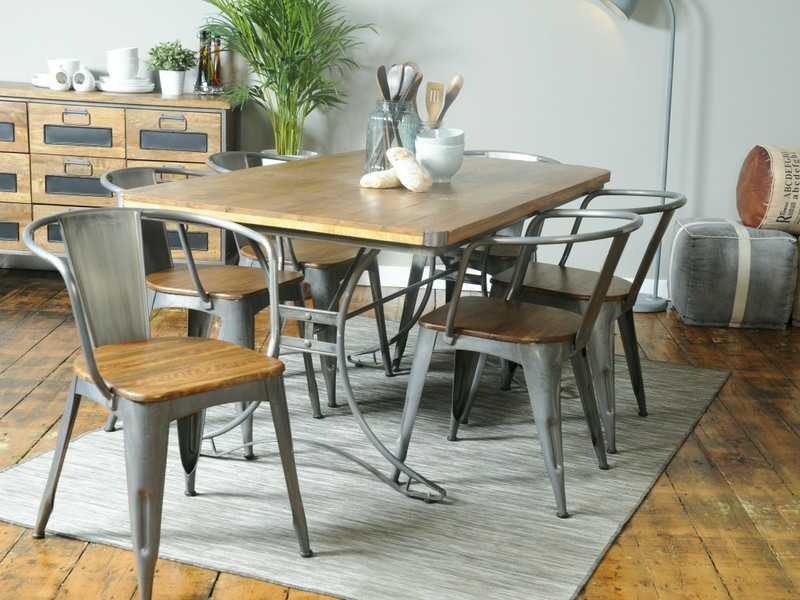 In fact, high street stores are now stocking an increasing array of industrial-influenced furnishings and this is a sure sign that the trend has gone mainstream. These three styles have certainly come to the fore so far this year and their popularity looks set to continue. That said, trends can change relatively quickly, with designers and homeowners constantly finding new sources of inspiration, and so it will certainly be interesting to see what else might emerge as the year progresses. 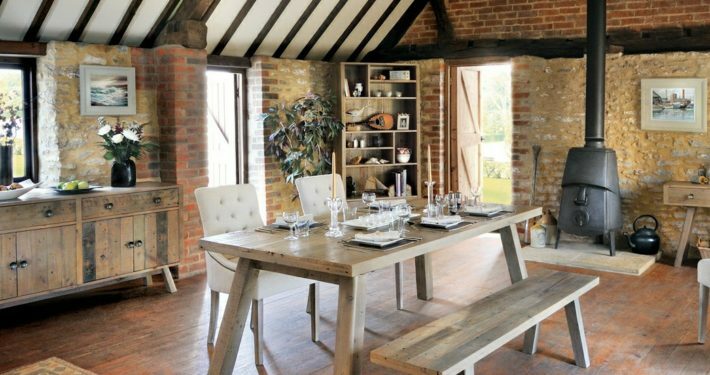 Guest post from Unni & Evans, supplying high quality modern furniture. External Spiral Staircases For Your Home Staircase Photo Competition – The Winners Revealed!